Hello everyone! It’s Wednesday, and you know what that means! 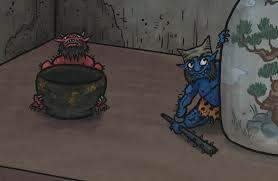 Yes, it’s time for us to take another look at some cool mythical creatures. Now, let’s get started! Good evening, everyone! It’s Tuesday, and you know what that means! 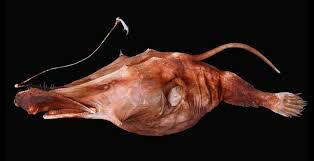 Yes, it’s time for us to take another look at some strange animals. I hope you guys are some ultra weird creatures. Now, let’s get started! O_O! 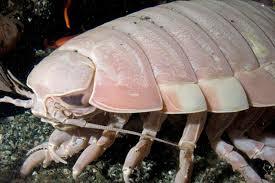 Giant Isopod (Bathyomous giganteus) (Scientific name from the book The Deep) The Giant Isopod is one absolutely freaky creature of the deep sea. It can grow up to 76 centimeters and weigh up to 3 pounds! (en.wikipedia.org) O_O!!!!!!!!!!!!!!!!!!!!!!!!!!!!!!!!!!!!!!!!! Imagine a sand crab on steroids! Hello fellow art lovers! It’s Monday, and you know what that means! Yes, it’s time for me to share some my of my favorite artworks with you wonderful people. I hope you guys are ready for some truly interesting works. Now, grab a paintbrush, and let’s get started! 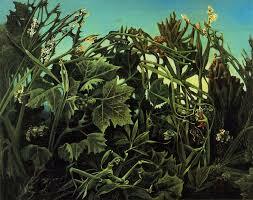 Lust for life by Max Ernst 1936 Oil on Canvas: Wow, I love this piece so much! It’s very different from the usual abstract piece. First of all, the piece seems like something that you would see in an exotic garden. The beautiful greenery and a gorgeous sky. However, if you take a close look at the piece, you’ll see some abstract animals and strange spirits. It’s an absolutely fantastic piece that plays tricks on your eyes and is an amazing sight to behold. I highly recommend this piece to anybody that loves colorful and abstract nature paintings. 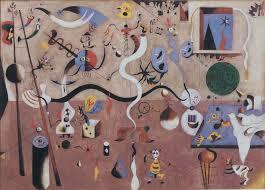 The Harlequin carnival by Joan Miro 1924-5 Oil on Canvas: This piece is guaranteed to blow your mind! It’s very unusual, and is very colorful in nature. The painting is filled to the brim with elongated figures, strange objects, and curvy lines. The painting reminds me of what a hallucination might look like, and I love it so much! I would really love to hear what you guys think of this piece, so be sure to leave a comment in the comments section below. War by Edwin Starr from the album “He Who Picks a Rose” 1970 (info about album date from en.wikipedia.org) Are you guys ready for one of the best anti-war songs? I sure hope so! This piece has everything; catchy vocals, a great message, awesome instruments, and high energy. It starts with the lyrics “War, what is it good for?” The song then dives into why war is useless, and why it does more harm than good. The various horns that accompany this piece are also quite a feast for the ears. I highly recommend this song to anybody that loves catchy Funk music. Tell me what you think of this pieces in the comments section below. Hello fellow food lovers! Its Friday, and you know what that means! Yes, it’s time for us to take another look at a fantastic dessert. 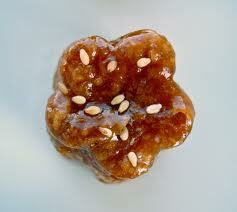 I hope you guys are hungry, because things are about to get sweet! Hello fellow Mixologists! It’s Thursday, and my Brewery is open once again! I hope you guys are ready for some awesome drinks. Now, grab a shot glass, and let’s get mixing! 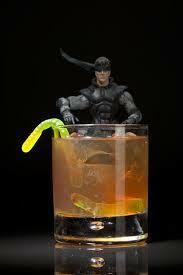 Directions: Combine all the ingredients into a glass, stir, and enjoy. Directions: Layer each of the ingredients into six separate shot glasses, in the order given. 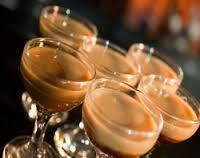 Take down all six shots as soon as they are served.